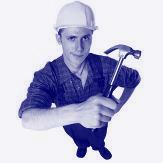 Buy a Home and Renovate It with one loan. The HUD 203(k) Program is great purchase plus loan program. 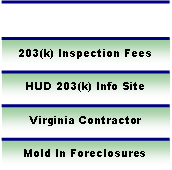 Acquired Home Services Inc. provides HUD 203(k) and other renovation loan inspection services in VA, MD and DC. Purchase PLUS loans like the HUD 203(k) program allow a client to purchase a home and renovate it with one mortgage. These programs can be used for minor updating or for a complete renovation of a distressed home. Contact Acquired Home Services Inc. to discuss these programs or to hire an approved HUD 203(k) Consultant, Inspector. Use the HUD 203(k) Program for minor home updates or for buying a home in distress.